💙 CLIP ART: If you'd like to add some clip art that's different than the Passport Stamp we have pictured, please check out photos #6-10! 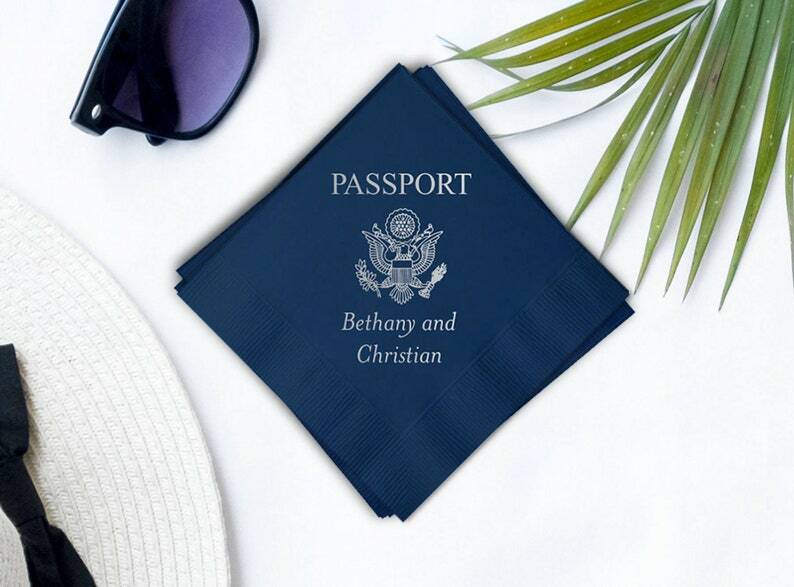 ▶ For LUNCHEON or DESSERT size napkins, please see this listing: Message us! ▶ For DINNER size napkins, please see this listing: Message us!